"Get off the road!" That angry order some motorists shout at cyclists ought to become the longer, but historically more accurate: "Hey cyclists, thanks for the roads and the cars!" 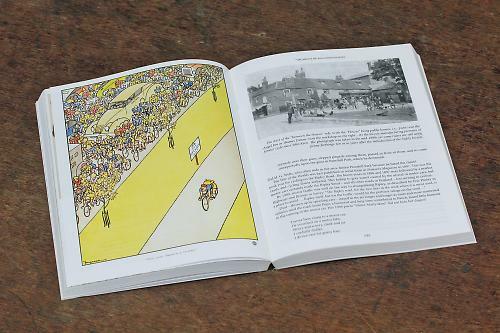 Carlton Reid's Roads Were Not Built For Cars sets out to demonstrate how cyclists led the charge for better roads, and it does so in a very readable and thorough manner. Not only were roads not built for cars, they were not built for bikes either. Pedestrians were the first to take advantage of the pre-set routes, along with four-legged horse power. However, Reid argues that it is a motoring-centric view that roads are just for transport, and that in the past they have been seen as a public space for other uses. We still see glimpses of that today when roads are closed for sporting events, or when royalty give us an excuse for a street party. Reid explains how the Roads Improvement Association played a key role in the early development of roads in the UK, and the Good Roads Movement played a similar role in America. Both bodies were derived from cycling organisations, but both were interested in all road users: motor transport was not the only consideration. For many people it will be a surprise just how much bicycle manufacturers contributed to the development of the motor car. Far more technology in early cars came from the bicycle than from the horse and carriage. In fact there are 64 brands of motor vehicle mentioned with links back to bicycles, and that list is by no means comprehensive. The initial idea for the book came from information gathered when Reid was preparing the campaigning website Ipayroadtax.com, which addresses one of the more frequent discussion points between motorists and cyclists. The book goes far beyond that topic, and provides a lot of information on what I would call campaigning issues, which are as relevant today as they have ever been: cycle paths, motorways, and road widening, for example. It is clear from the outset that a reassuring amount of research has gone into the book, and if you want additional background information there are no less than 1,593 supporting notes on the website. The benefit that Google brought in speeding up the research is acknowledged, but even so the project still took over four years to complete. Who will this book appeal to? It is quite hard to categorise. 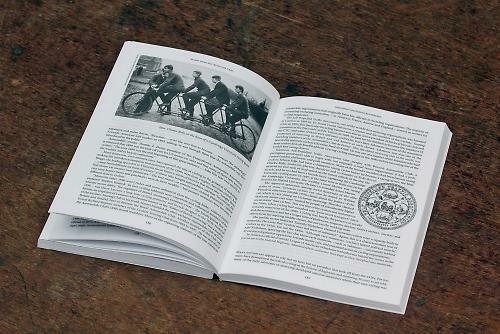 The publishers have allocated it the categories of Social History, Cycling, and Motoring – and that is both the problem and the opportunity. It would be great if all of us sharing the roads had respect for each other, and the information in a book like this could help all parties to appreciate the others' point of view. However, I fear that in practice it is only going to be bought by those who are pre-disposed to agree with the views expressed inside. The printed versions have now sold out - Reid tells us he even sold the hardback copy originally set aside for his mum and dad. Various digital versions are also available at lower prices, from ePub through Kindle to iPad. There will be a new, revised paperback version in early 2015, as after the first edition was published lots of other information came to light, and that material has already been incorporated into the digital versions. If you do nothing else then visit the website and study the front cover, which references so much of what the book offers. Carbon's too heavy; the digital version weighs nothing yet contains even more information! Enjoying iPad version, perfect weight. Very informative, well done Carlton. Obviously huge amount of research done to produce this. Guys, guys. Steel is real. I'm waiting for it to come out in a 953 version. In all seriousness, this is a fascinating book, excellently compiled. Luckily I own both the digital version and a signed copy of the hardback and it is one book that is absolutely fascinating reading that I am only to glad to have given Carlton my money for. "visit the website" to be a link to the website?